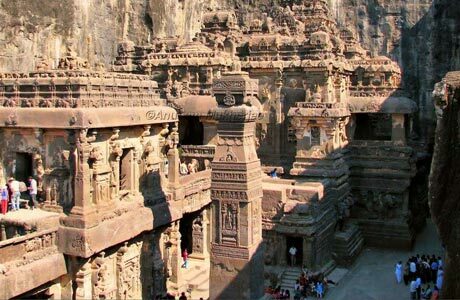 India is famous for its great wealth of monuments in the form of ancient caves, medieval forts, palaces, tombs, temples, etc. 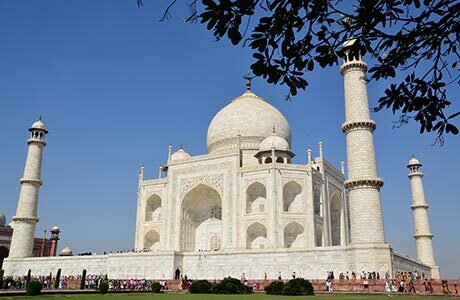 India monuments tour brings alive the old world charm of monumental heritage present in Delhi, Agra, Jaipur, Mumbai, Aurangabad, Ajanta and Ellora caves before reaching a sentient conclusion. Most of the monuments you visit are also recognized as world heritage sites, thereby adding more value to the trip. Upon arrival at the airport, you will meet our representative there and will be transferred to the hotel. Overnight stay at hotel. 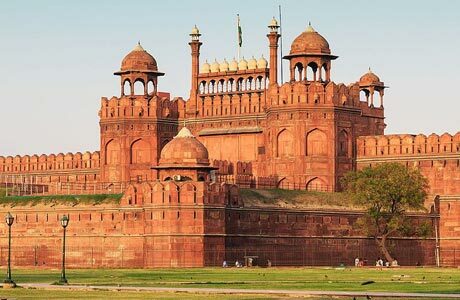 Old Delhi is India Monuments home starts from the Red Fort, the most opulent Fort and Palace of the Mughal Empire. You'll tour the area in a cycle rickshaw - one of India's traditional forms of transportation. Near the fort you'll see Chandni Chowk, the bustling and colorful market of the old city. At Raj Ghat, the impressive and emotional memorial to Mahatma Gandhi, you'll stop for a moment of reflection on this inspirational leader's life. The tour then continues through New Delhi, designed and built by the British in the 1920s. 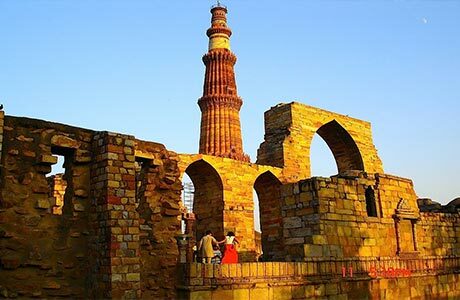 Delhi's main avenue, the Rajpath, the India Gate and the imposing Presidential Palace are on our route - also visit Qutab Minar and Emperor Humayun's Tomb and gardens. Today we drive to Agra, the home to the incredible Taj Mahal. Upon arrival, we directly visit the Taj Mahal to visit the splendid testimony to love which is there in India for more than three centuries. This scintillating monumental tomb was built by Emperor Shah Jahan to honor his wife who had died in childbirth, the Taj stands as a memorial of unmatched beauty. 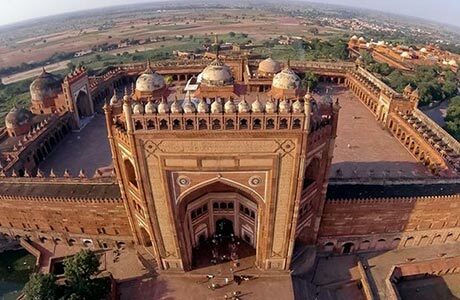 The hilltop Agra Fort is also on today's tour and we see its lovely courtyards, fountains, and gates before driving through the bustling city on the return to your hotel. The evening is free. (Taj Mahal is closed on Fridays). On the way to royal capital, Jaipur; we see a transition in countryside landscape and culture of Rajasthan. 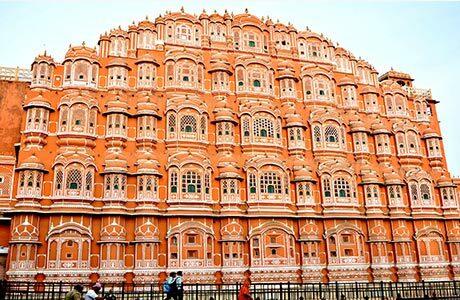 Women dressed in vibrant colours, decorated elephants and camels strolling on the way are the common sights of visiting Jaipur. Enroute stop over at the preserved Mughal city, Fatehpur Sikri displaying a cultural synthesis of Hindu-Islamic architecture. Evening free to stroll through the local bazaars. Overnight at hotel. 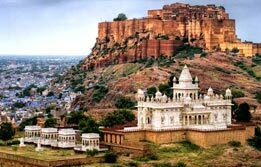 The hilltop fort of Amber, now the world heritage site was the former administrative center of the Rajput Kingdom. Move towards the fort in a gallant way atop the colourfully festooned elephants. Inside are lavish courtyards, beautifully decorated halls and a lovely Chamber of Mirrors. 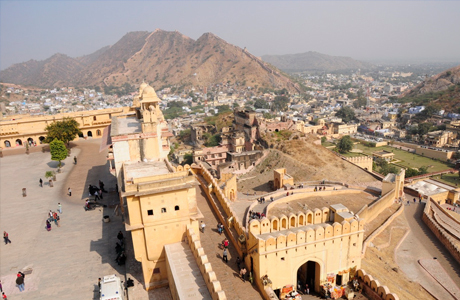 Back in Jaipur for the afternoon, you'll visit the City Palace Museum, the lovely Palace of the Winds and Jantar Mantar, an accurate observatory built in 1726. Overnight at hotel. The morning is free for you to explore the city on your own. Later, fly to Mumbai. Transfer to hotel. Rest of the day is free for leisure. Overnight at hotel. Morning visit the Aurangabad caves, which were carved between 1st – 5th centuries illustrate the chaityas and sculpted panels dedicated to Buddhism. The nine caves at Aurangabad are mainly viharas (monasteries). 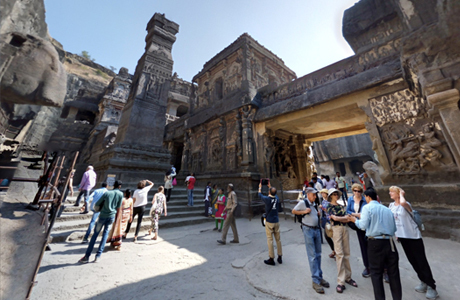 Later visit Daulatabad Fort, denoting the city of wealth. This 12th century fortress is a remnant of Sultanate influence on Daulatabad. But it is one of the world's best preserved fort of medieval times, surviving virtually unaltered. 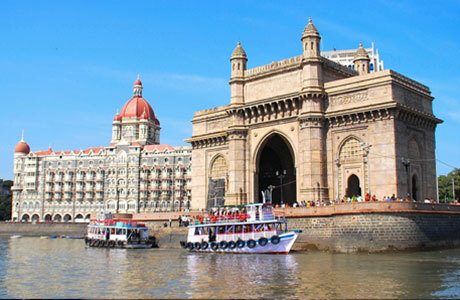 After the sightseeing, return to the hotel for check out and in evening, transfer to airport to connect flight for Mumbai. 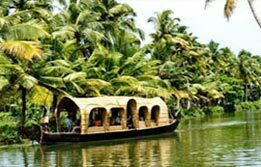 Room on sharing basis at each place as per itinerary with daily breakfast for 9 nights. Hotel check in / out 12:00 hrs. Local English speaking Guide during sightseeing tour only.